Engineers are naturally gifted and intelligent people. As I had occasion to say to the Association of Professional Women Engineers sometime ago, although God created the world, engineers are helping to recreate and change it every day. They do so by unleashing their God-given talents. Engineering provides a good outlet for the expression of the human imagination. That is why you find well rounded engineers in politics, industry and commerce succeeding very well. Although intelligence is a requirement for becoming an engineer, it does not necessarily equate to the possession of self confidence, a quality that is required to achieve great success. There are many engineers who have not made a success of their callings because they are lacking in this important personality trait. You can therefore say that, even among engineers, you can find men and women who are intelligent failures. Therefore confidence is a double edged appraisal by others of you, and you of yourself. But by far the more important expression of confidence is that which you have in yourself. When you believe in yourself, you earn the trust of the people around you and they believe in you. Conversely, when you lack self confidence, people around you will rate you as being of very low consequence and deal with you accordingly. Intelligence is mental ability; the ability to learn and reason; brain power, if you like. Confidence, however, is a personality disposition that enables a person to do. Therefore intelligent people can acquire knowledge, but in the absence of self confidence, they may be unable to apply that knowledge in pursuit of any reasonable success. While intelligence is a natural trait, self confidence can be learned or acquired. In modern day parlance, a person who is intelligent and possesses self confidence is the bomb! There is no stopping such a person. When you have self confidence, you decide the pace and others follow. You possess the negotiating edge. Every object on the earth is subject to the threat of gravity. Gravity pulls all things down. Life events and circumstances are like gravity; they have the potential to pull down your self confidence. 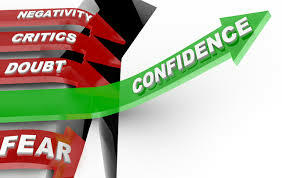 However, unlike natural gravity, life situations and circumstances also hold the potential to lift your self confidence. It all depends on how you manage your life circumstances. Not only can you manage life circumstances, but, like natural gravity, they are largely subject to your control. The control of gravity makes a mechanical vehicle called an aeroplane to fly. In the same vein, you can control the circumstances that you find yourself in to build self confidence. In other words, you can fly despite your circumstances. To my mind, engineers have better credentials than other professionals to exhibit self confidence because their creative genius results in creations that are visible to all men. Tangible proof of performance builds self confidence. However, they must first learn the psychological tactics for building self confidence. Hopefully, this paper will help to ignite in us a quest for this learning. Good packaging opens the door. Performance keeps the door open. If you want to make an impact, you must package yourself to make a strong impression all the time. The quality of reception you get depends partly on the impression you make on others. How you dress, your carriage, how you talk, all these are important indices of your packaging as a person. Appear for all official outings in your best. No one wants to deal with a person who is an immediate put off. If your appearance is adjudged bad, the perception is that your delivery must be bad. The old perception that engineers are people who dress shabbily because of their profession is no longer tenable. No one serves a good meal in a bad container. If you have put in a lot of effort to build a good performance, why would you allow presentation to let you down? As a business representative, present a personal appearance and disposition that is pleasant. Do not let your appearance put people off. That is why great salesmen are great dressers. If you are going about with a business proposition, dress well. Come to a business meeting looking and smelling good. Looking good is the first tip to capture your audience. I will later touch on a few other practical tips on building your self confidence by your packaging. You must have something to offer before you develop your packaging. Good performance is the most abiding ingredient for building and sustaining self confidence. Appearance may open the door for you, but good performance is what will keep you in. Self confidence is not achieved overnight. You develop it by a series of small successes achieved over a period of time. You can go through as much formal training and education as you like, but your best training for building self confidence is going out there and doing what you have always dreamt of doing; getting your hands dirty, as it were. Strive constantly to make yourself relevant. Do not let people stop you by reminding you of your weaknesses, or allow yourself to dwell constantly on your failure. Failure is a common experience of all successful people. Identify your strengths and leverage on them. There is something you can do that no one else can do. Discover it. It is that dream or ambition that constantly gnaws at your heart. There is no short cut to acceptance besides a track record of good performance and relevance. Gun for acceptance by your superiors and peers alike. Too often, our performances are tailored for the appreciation of our bosses, but to build self confidence, we need the acceptance of our peers as well. A human godfather may serve your interest in the short term, but certainly not in the long term. Godfathers come and go, but peers remain. When people know that your godfather is no longer in a position to influence things in your favour, they will come against you and all your self confidence will go with him. If you must have a godfather, look for a permanent one, go for God the Father. 2. There is a burden in your heart to share something you feel strongly about, but you are stricken by a spirit of fear. The result is that you are too afraid to speak up. Whenever you try to, your heart thumps uncontrollably until you surrender to convenient silence. 4. You avoid change in your current circumstances. You look for safety in your comfort zone. Some of the practical tips I am going to share later will deal with some of these handicaps, but I tell you, the major key is to simply break lose, like a hunted man whose back is against a wall. So have you failed before? Well I have too. When failure turned against me, I stopped running and fought the fight of my life. That is what I want you to do too. You are capable of far more than you think. What you need to bring out the best in you is to have your adrenalin pumped, to be pressed against a wall. Self confident people get committed to causes. They never get stopped by obstacles. When confronted by a problem, rather than turn back, they burst through it, walk over it or work around it. They are very resourceful and are great people to be with. They have pleasant personalities. So that we do not get all mixed up and gear ourselves to pursue unattainable ideals, we need to understand what self confidence is not. Self confidence is not about 100% correctness. No one can attain that. Reasonable people cannot put up with those who project that they can make no mistakes. You actually win the empathy and approval of men when you show your own weaknesses. The whole concept of perfection has been misunderstood. The Advanced learner’s Dictionary defines perfection as: having everything that is necessary; complete and not damaged; the best of its kind. Therefore perfection is not about we not making any mistake whatsoever, rather, it is about we shooting for the best in everything we do. There is a difference between shooting for the best and making no mistakes. Self confident people are not those who do not have stage fright. They are those who conquer it. If you do not turn against your weakness and overcome it, it will haunt you forever. Running from a weakness doesn’t remove it. Self confident people are not people who are not shy. They are people who conquer shyness. Self confident people are not people who have no fear. They are people who conquer their fears. Self confident people are not necessarily people who are rich; they are people who make the most of what is given to them. Self confidence is not foolhardiness. It is not sticking your hand in the fire to show people just how sure you are of yourself. Self confidence is applying sound judgement in all your decisions and actions. It is not blindly pursuing a course of action. If you are pursuing anything, you better make sure your eyes are wide open. Attaining financial freedom can greatly enhance your self confidence. Do all you can to breakthrough financially and be able to meet your basic needs throughout life. Begin saving right from the first day you earn an income; avoid big houses and unnecessary luxuries; focus on needs not wants; invest your savings; set financial goals for yourself and plan your retirement early. Knowing that you can meet financial emergencies builds your confidence as a person. It is extremely difficult for a poor man to be self confident. 1. Associations do have strong influences on the way we think, therefore associate yourself with the right kind of people, those who share the type of aspiration you have, but do not get competitive at anytime. Avoid comparing yourself to anyone. Someone once said that an army of goats led by a lion would sooner defeat an army of lions led by a goat. Be very clear in your mind that you are following the right person. 2. Set SMART life goals for yourself. Goals help you to be more efficient and productive. 3. Learn walking briskly. People who walk briskly have a business to attend to. Brisk walking people tend to be confident people. Brisk walking also provides exercise that tones the body and mind to achieve more. 4. When faced with a new challenge, recalling your past achievements helps to preserve your self confidence as a can do person. If you have done it before, you can certainly do it again. Recall of past success puts you in a mental state to press until you get the desired result. 5. Practice sitting in the front row at gatherings, if there is no breach of protocol involved. Many of us prefer back row seats to avoid being points of focus. It is a sign of lack of self confidence. 6. Practice speaking up during group discussions. Remember that everyone has this problem. Defy the butterflies in your stomach. Repeatedly doing it will enhance your public speaking. Begin your speech by telling a good joke, if appropriate. Laughter diffuses tension. 7. Prepare well for any engagement. Remember the five P’s: proper preparation prevents poor performance. Of course, there are times you may be required to speak extempore. The best preparation for this is to be ready at all times, by being an avid reader. Acquire knowledge, new skills and competences. Never stop developing yourself. You can never know too much. 8. Practice smiling as much as you can. A smile has an infinite capacity to disarm, more than any make up or dressing can. A smile makes even the ugliest face look beautiful. A smile is like light; once it appears, darkness disappears. A smile is a contagious way to spread goodwill and build self confidence. It is very difficult not to return a smile. Someone once said that a smile is the only investment that yields a hundred percent return immediately. Serious and uninviting faces drive patrons away faster than bad products do. 9. Show kindness as often as you have the opportunity to do so. The trouble with many service providers is that they have not imbibed the culture of providing selfless service. Everyone is driven by a profit-making motive. Self interest appears to rule the hearts of men. Sow seeds in the lives of men so that you can reap a harvest in your own life. There is no feeling like knowing that you have impacted the lives of many people and been a great blessing. Sacrificing for others hurts, but nothing lifts the spirit of a man better. It is a great confidence booster when you exercise great influence over a people who look up to you. 10. Develop your self confidence by doing rather than talking. Get away from people who spend all their time just talking. If excessive talking were beneficial, the GSM revolution would have changed Nigeria by now. People who talk a lot usually shut up when the time comes for those who have something to show to speak up. Someone correctly observed that in the Bible parable of the talents, the man who talked the most did the least. People develop confidence in those who are action oriented. Talk is cheap. Anyone can talk. 11. Having said all of these, what you believe about yourself is the most important factor in building your self confidence. If you believe you can, you can; if you believe you cannot, you cannot. You need to thoroughly examine your mental state to determine what you believe about yourself. Knowing what God says about you will help boost your self confidence. Therefore go look up yourself in God’s word. Boldness is assured when you receive God’s Spirit. Do this exercise: write down on a piece of paper all the things you believe about yourself. Identify the negative thoughts and, based on the teaching you have received, decide if any of these ones can actually change. Once you determine the negative beliefs about yourself that can change, set them as part of your goals for the coming year. That is where your change is going to start from: search for the positive belief about yourself, receive it, declare it and apply it.